Rory McIlory produced some stunning golf during the second round but might be hampered by a back problem. Photo: Luke Walker/Gallo Images. Northen Irishman stays very much in contention at the SA Open at Glendower but is hampered by a back injury. 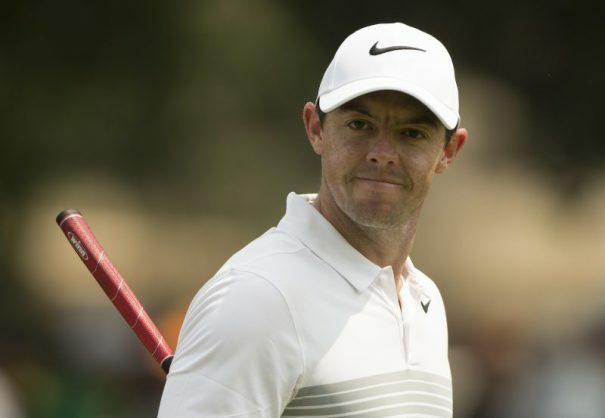 Rory McIlroy went on a stunning charge which was quickly ended by a bogey-bogey finish that left him three behind leader Graeme Storm after the second round of the BMW South African Open. Everyone at Glendower Golf Club will be hoping the world number two will be able to shake off the back problem that plagued him on Friday and maintain his challenge for the title over the weekend. McIlroy’s phenomenal run started on the par-five eighth hole with an eagle, which he followed with six birdies in the next seven holes, lifting him to 11-under-par for the tournament, just one behind Storm, who had stormed to the top of the leaderboard in the morning with his dazzling nine-under-par 63, which equalled the course record set by Dawie van der Walt at the BMG Classic in 2011. It would be enough for him to stay ahead of the dangerman as McIlroy bogeyed the par-three 17th after his wedge was a bit too firm and then dropped on 18 as well after finding the greenside bunker. McIlroy said he had rushed his approach shot on the last in order to beat the storm that stopped play soon thereafter (15 three-balls will be completing their rounds on Saturday morning), but the bogey also cost him any chance of catching Storm. But the 27-year-old has more immediate matters on his mind as his back started playing up. “I’ve tweaked my back and I can’t really breathe at times, so considering that, it was a pretty good round. In the middle section I got some momentum, but obviously it was a disappointing ending,” McIlroy said before rushing off to get treatment from his physiotherapist. Trevor Fisher Junior found something in his game in the first round to share the lead after the first day with a 66, but the South African said he had to scramble on Friday to post a 68 that enabled him to share second place, two behind Storm, with compatriot Jbe Kruger and American Trevor Uihlein. “My game wasn’t as good today, but I managed to get a good result with four-under, I had to grind it out. I didn’t hit enough fairways, I was scrambling a bit and I putted quite nicely. “It was quite tough today, I didn’t really succeed in trusting the changes I have made, and I can count on one hand the fairways I hit,” Fisher Jnr said. Kruger also had to rely on his scrambling abilities as he posted a 67 that also included just one bogey. “I hit the ball as badly as I have in probably three or four years and I just made the putts. I think I made 24 putts but I only hit four fairways, so it was amazing,” Kruger said. There was great news for two other South Africans as Jaco van Zyl made a hole-in-one on the 204-metre 17th hole and won a BMW i8 hybrid sports car worth nearly R2 million, on his way to a 65 that left him on eight-under-par for the tournament and inside the top-10. Defending champion Brandon Stone also ensured that he will be in action on the weekend as he bounced back from his disappointing 74 on the first day with an impressive 67 on Friday that left him on three-under overall. But all eyes will be on Storm, who finished on the cut-off mark for his card last season thanks to American Patrick Reed not playing the required number of European Tour events, in the third round as he tries to hold on to his lead. “I like the whole feel of playing around here, the people are kind and complimentary when you play good shots. I’m normally a slow starter, but I need to try and capitalise on this good form, make the Middle East tournaments not such a grind,” the 38-year-old Englishman said.